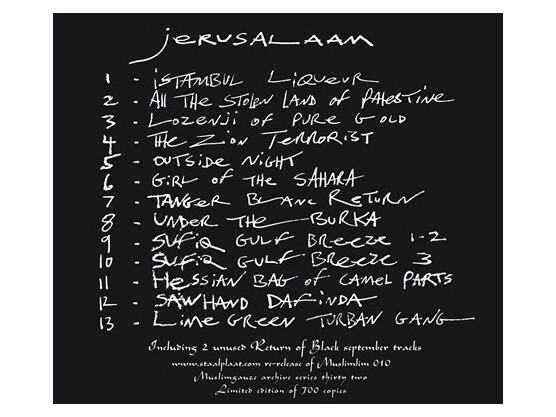 "Originally issued as the fouth LP in the limited edition box set Tandoori Dog, Jerusalaam follows Jaagheed Zarb, the title disc, and Libya Tour Guide with a CD reissue; finally, the long out of print box has been completely reissued. 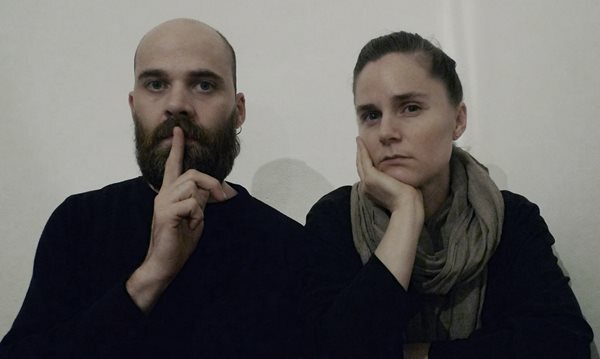 Again the increased space of its new medium has allowed unreleased material from the original tape to be included. 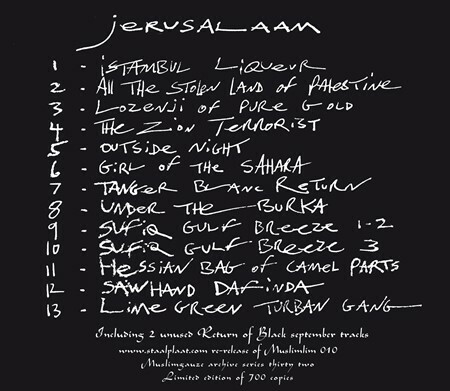 This time, however, the extra material is neither alternate versions of Tandoori Dog material nor new songs intended for those releases; the two extra tracks here, clocking in at near 15 minutes and just under 8, make up unused material from the Return of Black September sessions. The contrast, even for someone with as wide a range as Muslimgauze had, is stunning. 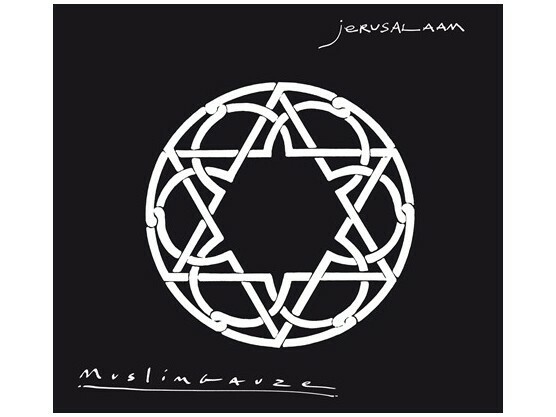 The original Jerusalaam fits in with much of Bryn Jones’ classic work, with a heavy emphasis on hand percussion, bass-heavy distortion, sharply clipped loops, and the seething his of static. 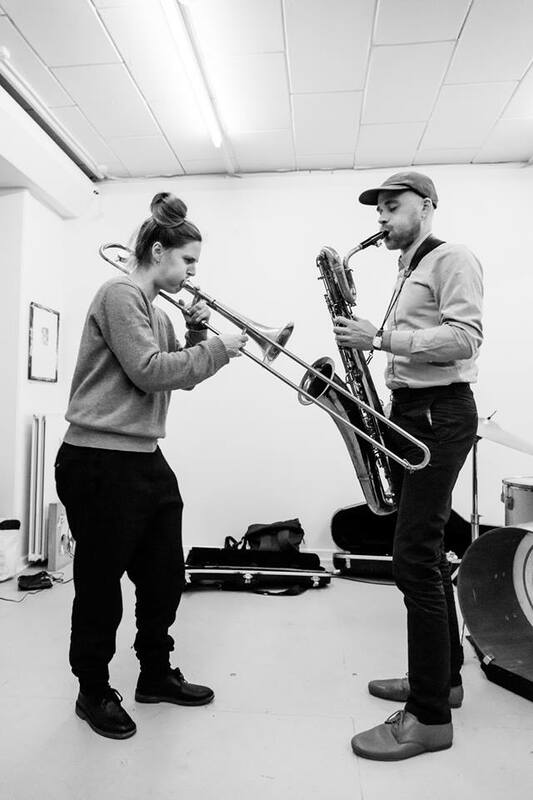 The two otherwise unnamed Return of Black September tracks, however, follow that album in taking a much more cleanly digital feel, with many of the elements Jones usually uses present but in more stripped down or even mechanized forms. 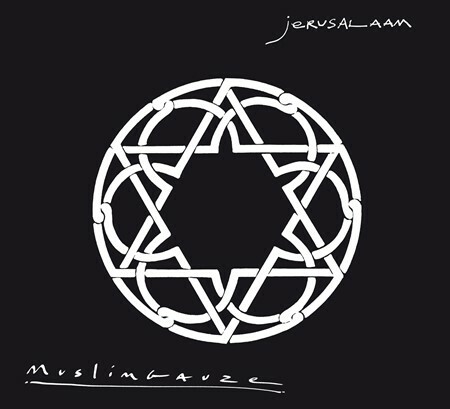 The relatively clean pulse of these two longer compositions serve as a refreshing contrast next to the hand- and tape-made feel of tracks like “All the Stolen Land of Palestine” and “Hessian Bag of Camel Parts”, an invigorating reminder of the breadth and vitality of Jones’ work even now."